Sights you may see include Times Square, Statue of Liberty, Central Park & more! Skip the queues and head straight to the 86th floor with VIP access! Visit on any date for 1 year from date of booking! Visit the daytime & after 9pm at night on the same day! Tickets are valid for one year from date of purchase. So if you were to book your tickets on the 1st January you can visit the Empire State Building on any date up until the 1st January the following year! We’ll send you an e-ticket via email. Please print this and present it at the entrance to the Empire State Building Ticket Window to gain entry to the attraction. Please note you may be required to show ID. Important: This ticket does not include skip-the-line access to the elevators. Please book the VIP Express Pass below if you want to skip the lines! Who wants to wait in the long queues to get to the top of the Empire State Building? No one does! So if you want to skip the line, have your own special queue for the elevator on each floor and get faster access to the main deck, make sure you book the Express Pass! Skip right to the front of the ticket line – passing by the hordes of people with regular tickets. Just show your wristband to the officers who will make sure you get to the top with priority. This ticket is particularly useful during busy periods and on rainy days, when the queues are at their longest! Don’t waste your precious time in New York – book the Empire State Building V.I.P Express Experience and get to the top faster! Tickets are valid for one year from date of purchase. So if you were to book your tickets on the 1st January 2017 you can visit the Empire State Building on any date up until the 1st January 2018! Please print this and present it at the entrance to the Empire State Building Ticket Window to receive your wristband and gain entry to the attraction. Please note you may be required to show ID. Tickets are valid on your chosen date only. You can use this ticket once during the day and once after 9pm at night the same day. 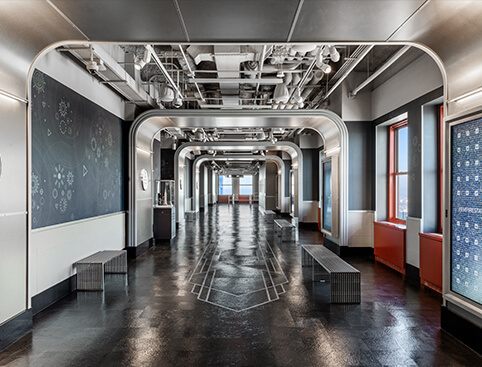 What: Entry to the Empire State Building Observatory. Opening Hours: 8am to 2am. 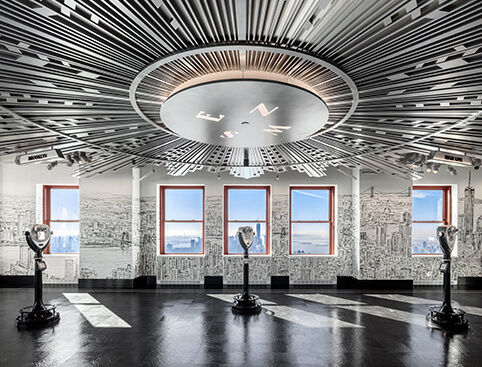 Don’t Miss: The views over New York from one of the city’s most iconic buildings. This iconic building needs no introduction. 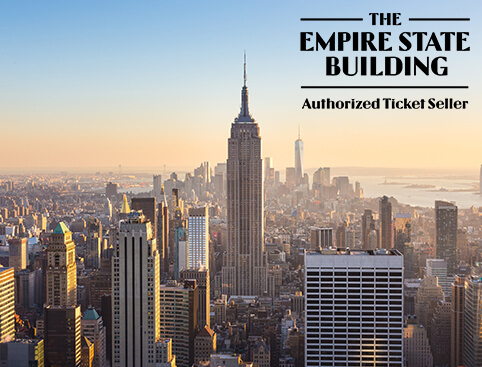 Empire State Building tickets guarantee you incredible, uninterrupted views of New York and beyond from its world-famous 86th-floor observatory! No one does! So if you want to skip the line, have your own special queue for the elevators and get faster access to the main observatory deck, make sure you book the VIP Express Pass! Skip right to the front of the ticket line, passing by the hordes of people with regular tickets. The Observatory has a 360-degree outdoor deck and indoor viewing galleries, so you can enjoy the views rain or shine, day or night. Zip right up to the 86th Floor Observatory in convenient high-speed elevators. Searching for that perfect Empire State Building souvenir? You’re bound to find something memorable at the Gift Shop, located on the 80th Floor. See the views by Day and by Night with one ticket! The Day & Night ticket lets you visit the Empire State Building Observatory twice in one day! See the spectacular views of New York during the day and the glittering skyline at night after 9pm. 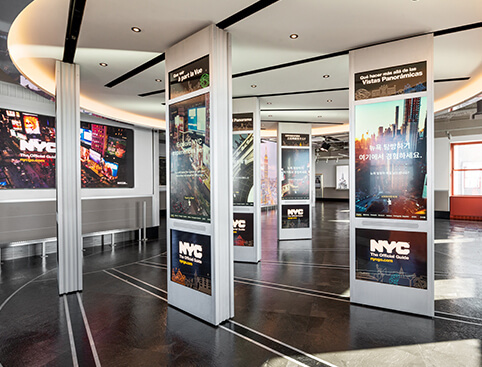 A free Multimedia Tour Guide of the Empire State Building can be downloaded from the App Store and Google Play Store. It serves as your own personal tour guide, taking you all the way from the ground floor to the 360° open-air views of the Observation Deck. The guide is available in English, French, Italian, Japanese, Korean, Mandarin, Portuguese, Spanish and German. The Empire State Building operates different opening times on special holidays such as 4th July and and New Year’s Eve. Please contact the building directly for exact opening and closing times. 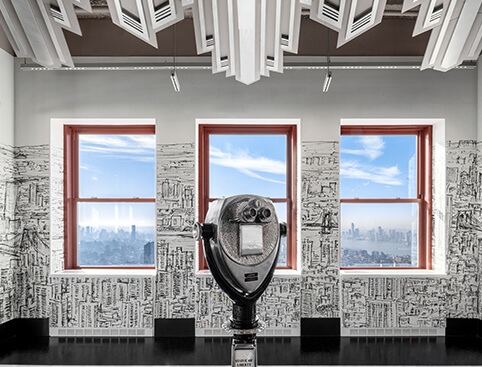 The Empire State Building Observatory is open 7 days a week, all year round. The Observatory is open from 8am to 2am. Last elevators go up at 1.15am. On special holidays (such as 4th of July and New Year’s Eve) the Empire State Building’s hours of operation vary. Please enquire with the building for exact opening and closing hours. There is no time limit as to how long you can spend on the observation decks during operating hours. The average length of stay is about 45 minutes – 1 hour. We recommend that you arrive prepared with seasonal clothing, sunscreen, and sunglasses if you intend to visit the outdoor section of the observation deck. The Observatory is wheelchair accessible. The Empire State Building is pretty hard to miss, located in the centre of mid-town Manhattan. It is 5 minutes walk from Macy's, 10 minutes walk from Madison Square Garden, and around 14 minutes walk from Times Square. Empire State Building Tickets - Skip The Line is rated 4.4 out of 5 by 26. Rated 5 out of 5 by Franco from Awesome We had great day out and fully enjoyed the whole experience.. Rated 4 out of 5 by Traceface from Good time Was worth paying the extra to skip the queues. Really enjoyed the views and took some great photos. Thought the prices in the gift shop were ridiculous! The dearest souvenirs I'd seen anywhere!! I bought a fridge magnet as I wanted a souvenir. Rated 3 out of 5 by Babyrene from Not as expected We went at night and the views were amazing. However having bought tickets advertised as "skip the line" we were still in long queues to get in and out of the ESB. This was very disappointing to say the least. Rated 5 out of 5 by SClough from Fantastic visit The tickets purchased here didn't allow us to skip the line! You have to queue to swap your home printed voucher for a ticket; the same queue as 'purchase on the day' tickets. That said, the queue wasn't too long and the visit was amazing.